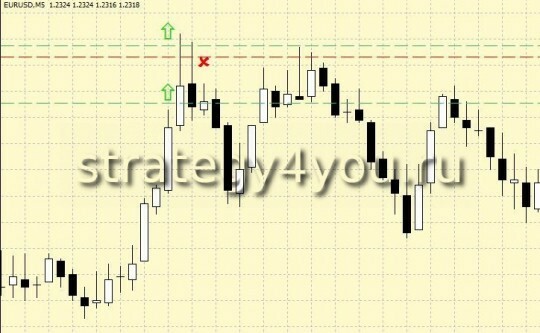 Basis for strategies forex 10 pips + Martingail taken Forex Trading Strategy «10 points for the EURUSD«: entrance into the market in exactly the same happens on the breakdown of the maximum and minimum of the previous trading day, but this strategy is also additional conditions to enter the market in cases of reversal prices when using the Martingale (though not in its pure form, but with the increase in subsequent otkryvemoy deal). 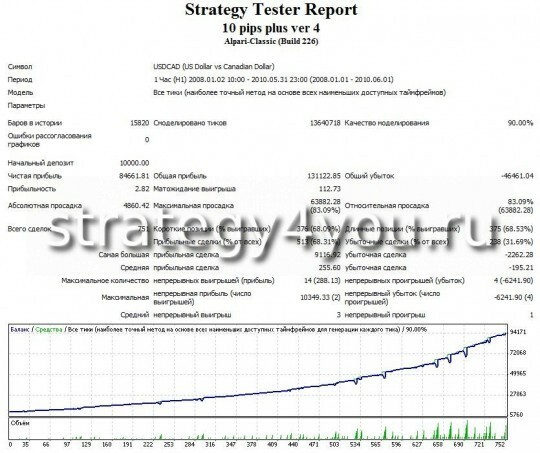 Report: A real report on the trade advisor 10 pips milti plus — opens in a new window! 1. The most frequent and most reliable scenario is when the breakdown of extreme triggered stop-loss traders working on the daily charts. In general, I think that many put their feet on the extrema of the daily charts, as These levels are considered to be strong enough break-out levels. Because of this, when triggered stops, or when opening new orders, the breakdown at this level, the price of inertia must still pass a certain number of points in this direction, usually from 10 to 30, all depends on the volatility of the currency pair. But we will not be greedy and will take only 10 points. 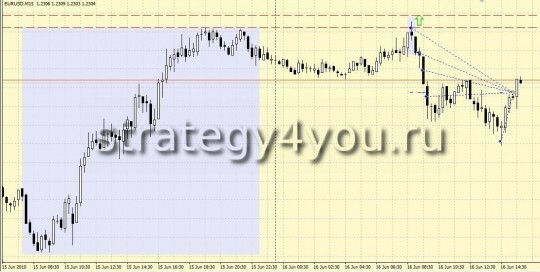 In this case, the algorithm is implemented forex strategy «10 points for the EURUSD»! 2. 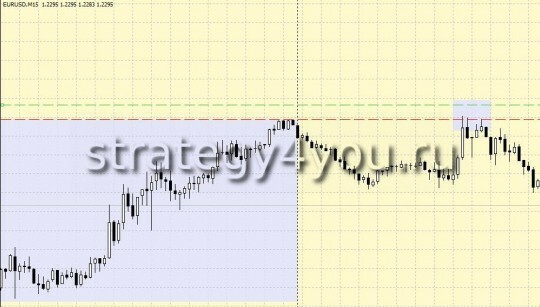 Probably none of you watched the situation by working on the strategy of «10 points for the EURUSD», when the price breaks above the level of the extremum of the previous day and immediately went away from him in the opposite direction knocking your stop order, and then again as if nothing had happened was in the direction of extremum and is easily punched him and walked on. This also proves the importance of this level, but the market is not always possible to pass this level the first time since there are still traders work on the rebound from this level, and they did and move the price of candles inside the last day. 3. There are situations where the level is very strong and the price even during the second approach to extremum can not punch him, does a double breakdown, breakdown, or just a triple in the range of this level, but do not punch him, and soon goes in the opposite direction ..
4. The last possible scenario after release from the extremum. Price lightly punching extreme fights back from him and what is the number of points in the opposite direction. We know that the price of the forex market can not just turn around and go in the opposite direction, it proves no theory of the market. Reversals in the market place in several stages. If we take the wave theory, we know that at the turn of the market is formed first, the first wave, which happens after a significant pullback in the opposite direction, and the rollback happens, the magnitude is comparable with the first wave (second wave usually covers 61% of the first wave). 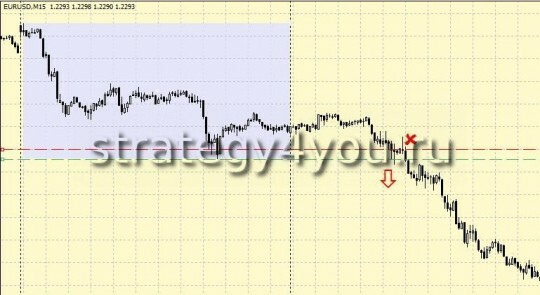 Or, if you take a graphic analysis of the market, then the reversal is usually formed shapes, such as: double top, double bottom, head and shoulders. All this proves that in the early stages of reversal, the market would return for a considerable distance back, in this case the extremum or approaching it at a close distance. 1. Just as in the strategy of «10 points for the EURUSD» will enter the market during the breakdown of daytime extremes, with the filter of a few points (for EURSD — 0 points, and for other currency pairs within 0-15 points). 3. Set TakeProfit at 10 points away from entering the market. 5. If the price closed at profit, more to break through this afternoon for an extremum is not working (in most cases and does) — ie the day the transaction is no longer open! 6. If the price had strayed from the extremum, catching it, then we wait until it goes down at some level, and open another deal in a lot of 1,6-2 times more than the previous in the same direction. Thus we move to the breakeven point of extremum below the N number of points. 7. Knowing the break-even level for these two orders, we transfer level TakeProfit first order to the point, break even on two warrants + TakeProfit = 10 points. TakeProfit second order we put on the same point. We need to create a situation that would be at the opening of our second order TakeProfit moved to 2-5 points below the opening of the first order Buy. That is, if we opened our first order at a price of 1.3000 0.1 lot, hence opening the second order we will need to install TakeProfit approximately 1.2995. Thus it turns out that the level of breakeven to 2 orders should be at the level of 1.2985. Thus the position that we should open at the level of 1.29775, and the profits of warrants set at a level of 1.2995. In fact one of the orders you have closed net, but if you count when you close both orders, we get 10 points, with a total lot of 0.3, that is $ 30. 9. 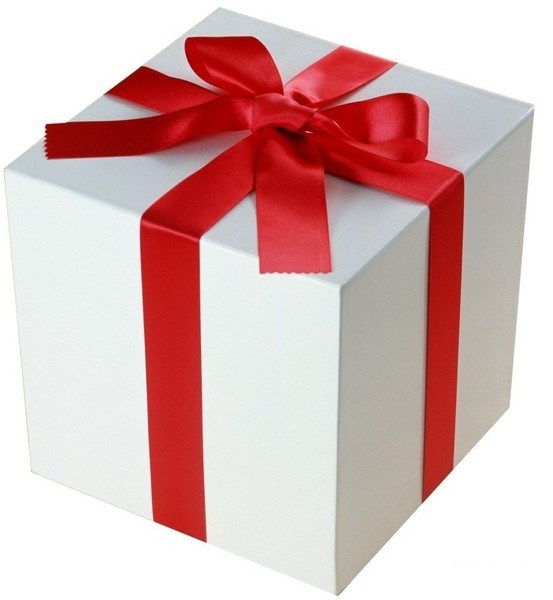 Further, if the price is not in our favor, we begin to calculate a price for the opening of the next order, with one difference, the next level of TP must be at the opening of 2 orders, plus a few items. The level of opening a second warrant 1.29775, 1.2978 rounded. That would put the TP on this level that should be breakeven to 3 orders was at 1.2968. Thus the position that we should open at the level of 1.29553, and the profits of warrants set at a level of 1.2978. Thus at the close of the two orders we get 10 points, with a total lot of 0.7, that is $ 70. It turns out that our TakeProfit on orders moved lower extremum, thus closing the warrants of TP becomes more likely, because market should recover before reversing up, make a double top, or second wave of a new beginning a trend. 10. Next, we look forward to the next level again, waiting for the rollback prices. In fact, exposing so warrants we open no more than 6 orders in the same direction. Can immediately voznknut question «Why six orders, and that if the 6-th order is not closed with a profit …? 7 orders opened there was no time! Virtually all of the majority of the deals closed in the first order. If we make the calculation, what would «merge» the deposit needed to move more than 250 points are absolutely without any correction, which is considerably rare, and that during this movement is likely to be open warrant in the direction of the movement. 1) Lot for the first order 0.01 for every 1000 deposit — max!. Do not violate this rule in the trade, this rule allows you to save a deposit and it gradually multiply! Leverage in this case should be at least 1:200, and even better if you leverage your DC is 1:500 (that now offer almost all forex brokers). Accordingly, on 10 000 deposit Maximum lot — 0,1! And for sure, I personally recommend the size of the depot to keep in stock, ie even better if you trade 0.01 lot like when the depot in 3000 — $ 10000 — this will allow you to close a series of transactions with profits almost definitely! 2) when trading this strategy for several currency pairs, do not open Sledkov for another currency pair even if the currently open orders at least one currency pair! 3) Before the important news is better for this strategy is not to trade! Note: if you want to receive updates Adviser — LEAVE positive feedback in the store Plati.ru without specifying e-mail in the body of reviews! e-mail please indicate on the payment page — which indicates where the goods will be delivered! 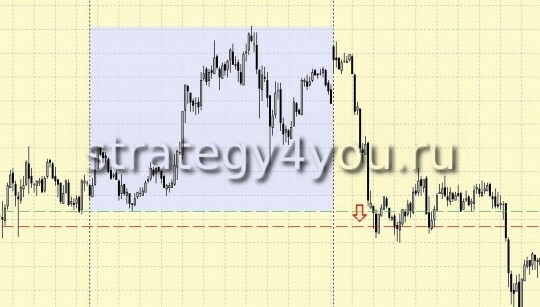 Other 20 Forex Strategies Categories "Forex Strategies method Martingeyl"